Casino Management System – APEX pro gaming a.s. The APEX CASINO MANAGEMENT SYSTEM has been further designed to be even more customer friendly. It is set up in a clear and easy way to understand. Different access levels can be set between the accounting management, jackpot management, machine management, site management, ticket management and user and role management. This is rounded off with a 24-hour service line that is open every day, 365 days a year. Mystery Jackpot is triggered unpredictably, purely random at a random time and a random value, if all winning conditions are satisfied. The APEX CASINO MANAGEMENT SYSTEM features multiple, independent Jackpot Displays on dedicated Display Servers. Multiple Jackpot levels from different jackpots. Jackpot win animations for wide-area and local jackpot wins. Multiple highly professional 3D themes. Jackpot win jingles (audio) for wide-area and local jackpot wins. The APEX CASINO MANAGEMENT SYSTEM supports ticket-in and ticket-out functionality. Ticket-out on AMC/AMCX requires a supported ticket printer to be attached to the CASINO MANAGEMENT SYSTEM. 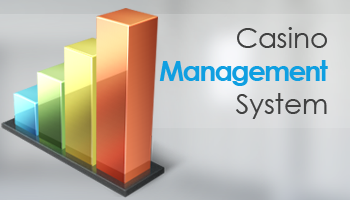 The APEX CASINO MANAGEMENT SYSTEM uses the ‘System Validation’ schema for security reasons. Tickets can be printed at the cashdesk and on machines. Tickets can be redeemed at the cashdesk and on machines. Limits can be applied for machine redemption on ticket in / out. Limits for ticket-out on machines is only supported if the machine supports such limits to be configured on the machine itself. All ticket redemption and ticket printing operations are protected by special privileges that need to be assigned to a user in order to be able to perform ticket related operations.